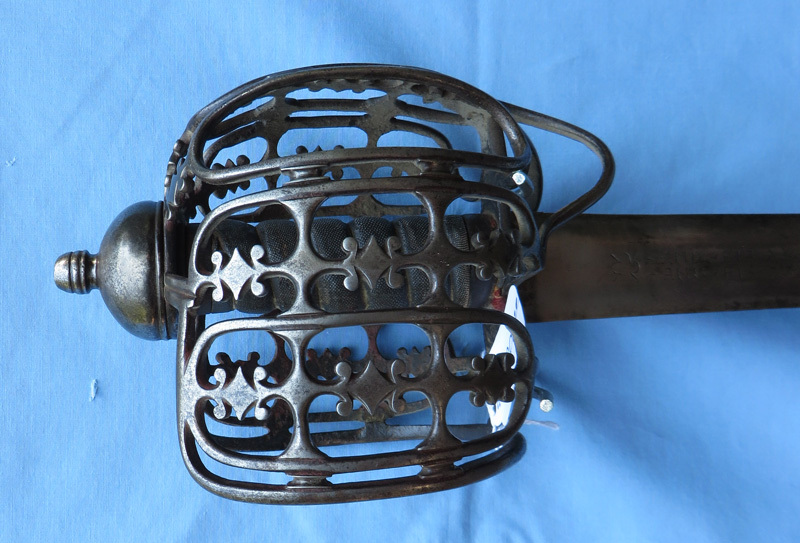 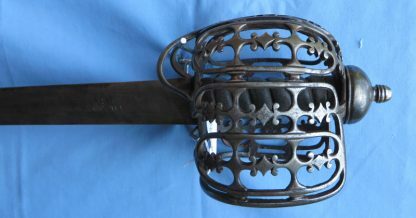 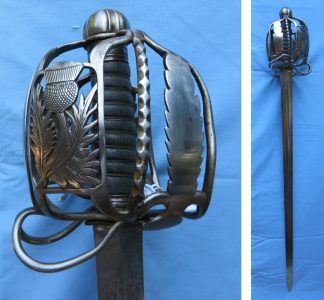 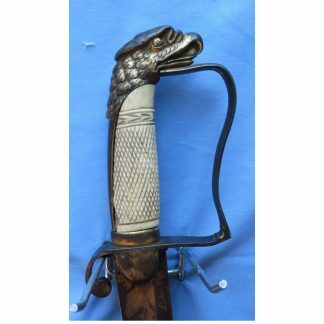 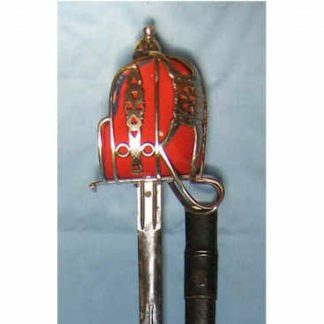 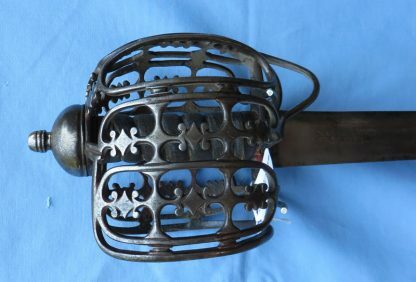 An Anglo-Scottish basket hilted sword. 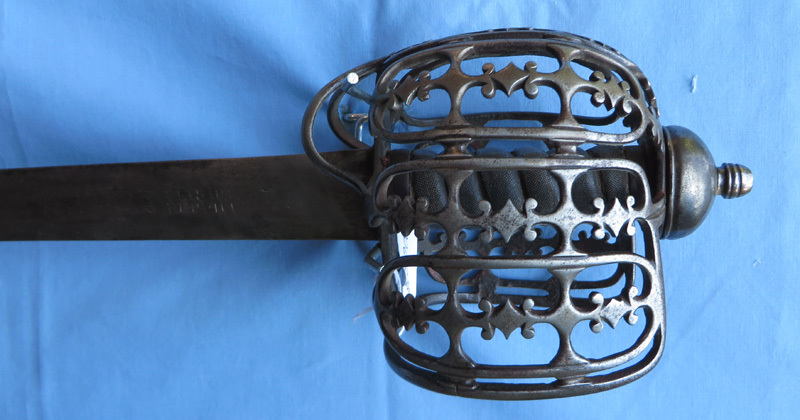 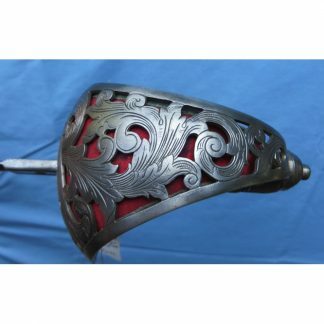 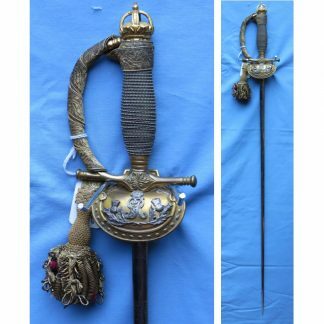 This sword has a sharkskin grip and horseman’s ring in the basket. 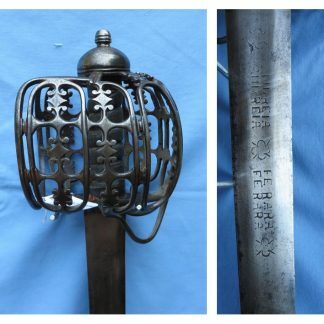 This blade has a “Ferrara” marking on the blade.